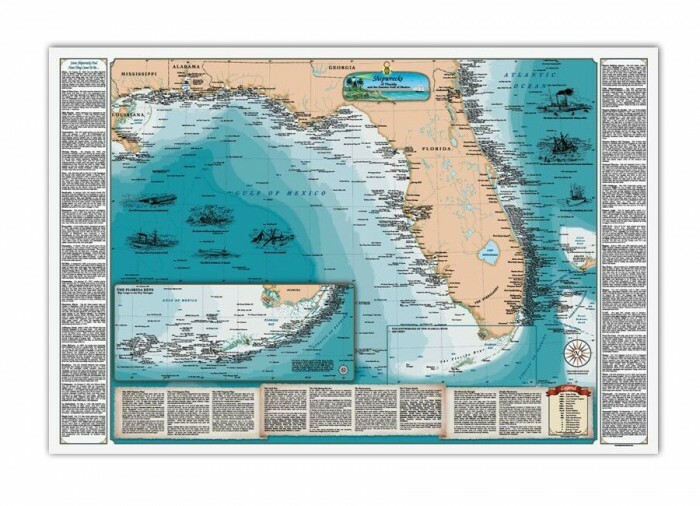 Plan your next treasure hunting trip to the Gulf region with this ingenious map of 1000 shipwrecks that stretch from Florida all the way to the Mississippi Delta! 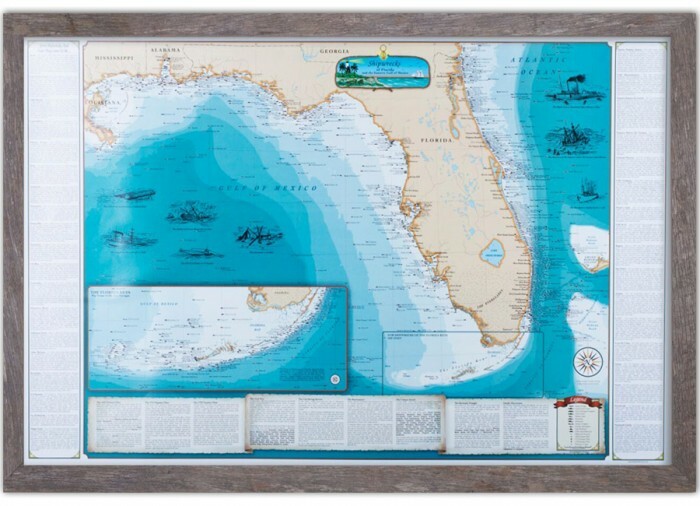 Sealake pored hundreds of hours into making a map that shows the Florida coastline, the Keys, reefs, lighthouses and water depth contours in great detail. 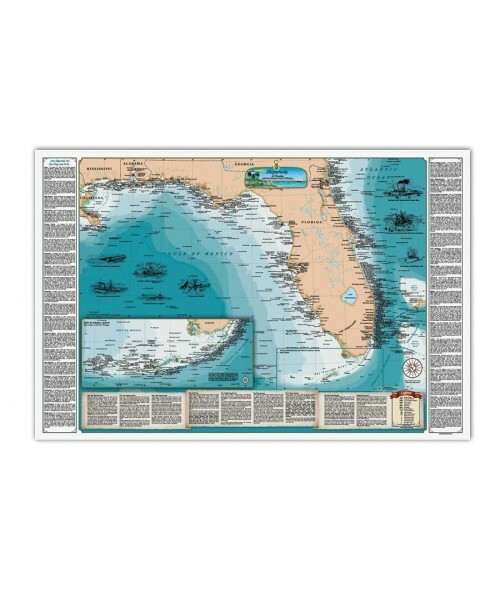 Included in this map are 37 stories of interesting and famous shipwrecks that occurred right in the Gulf of Mexico along with detailed pen and ink drawings illustrating the sinking of some these very ships. 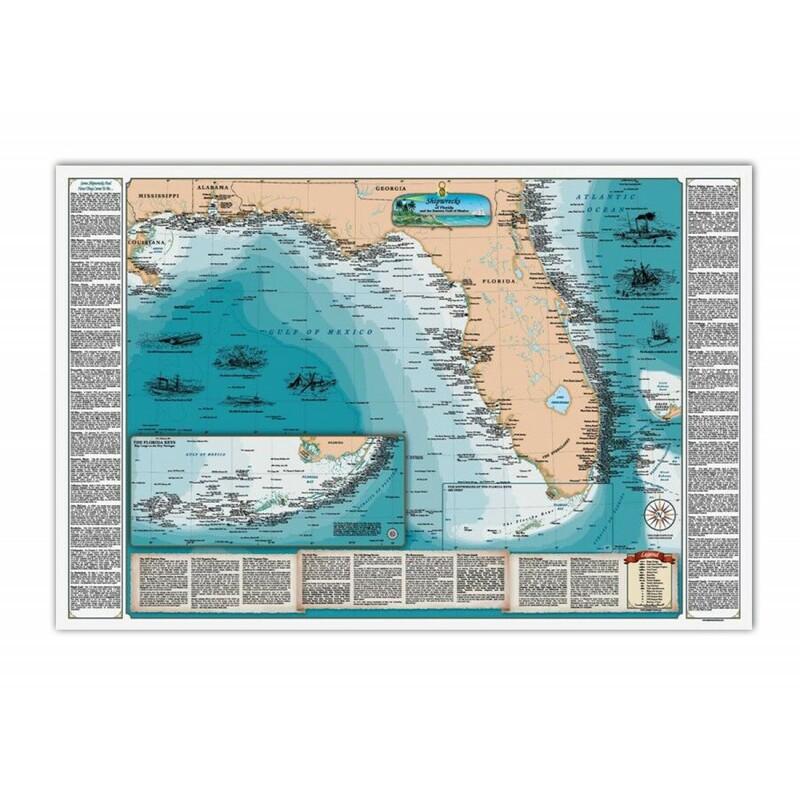 Information is presented in an easy-to-use and concise manner with details about treasure fleets, the Civil War, the Bermuda Triangle, U-Boats and much, much more. 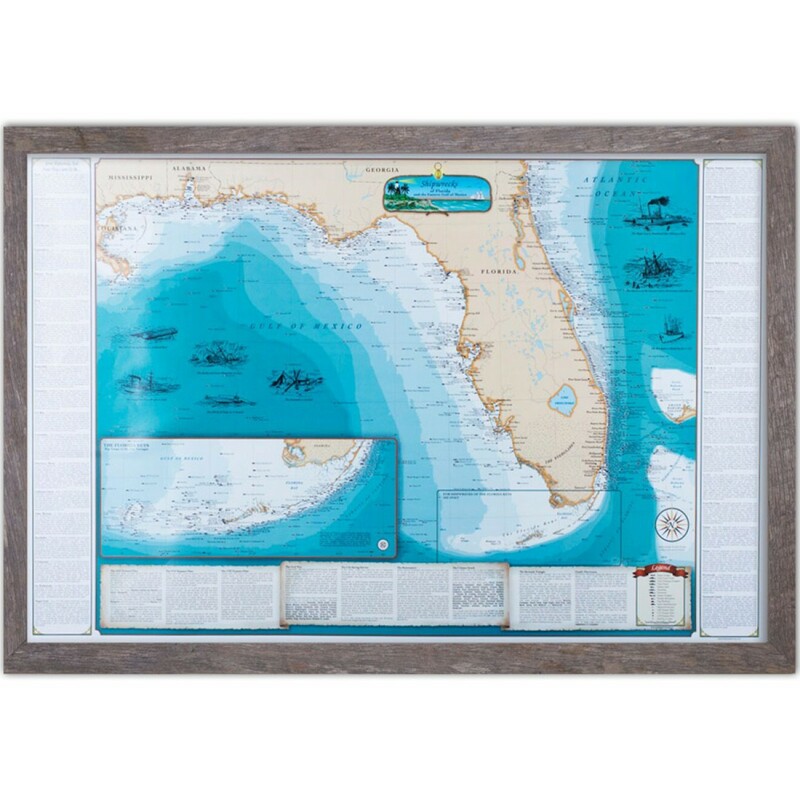 The full color 36" x 24" map is the perfect size for framing and makes a great gift for the treasure hunter in your life!